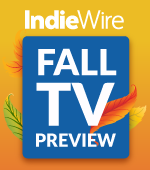 Fall TV Preview: As audiences embrace on-demand and streaming, they're even OK now with commercials. Could that be the death knell for the DVR? This summer, the last-known videocassette recorder manufacturer shut down production – effectively ending that once-dominant medium after several decades. Could the DVR soon face a similar fate? More than 17 years after digital video recorder technology was first launched at the 1999 Consumer Electronics Show, growth has stalled. About 50 percent of U.S. television households now use a DVR, but that number is flat, and has been for several years. While older viewers continue to adopt the DVR, younger viewers – including Millennials – seem disinterested. According to CBS research, DVR usage by adults 18-49 – still the money demo targeted by advertisers – actually declined by six percent last season. The younger end of the 18-49 demo (such as 18- to 24-year-olds) are used to accessing programming on demand, which means “the DVR is probably a foreign concept to a young millennial,” the exec added. As audiences watch more TV on mobile devices, they can’t access their DVR. At the same time, network apps are making it much more convenient to quickly access a TV episode. Meanwhile, what was once a chief selling point for DVRs has become less important for consumers: Fast-forwarding through commercials. That’s right: Audiences are once again embracing ads (which can’t be fast-forwarded on VOD or streaming platforms). Even consumers with DVRs are fast-forwarding less through commercials, because they’re preoccupied with a second device (such as a mobile phone or tablet) while watching. That’s why, as fall TV launches, network execs aren’t exactly shedding a tear for the DVR. If you watch a program on VOD instead of DVR, they benefit more. And if you watch it via their own online platform, they receive an even higher ad rate. “This is all moving in a positive direction for us,” Poltrack said.